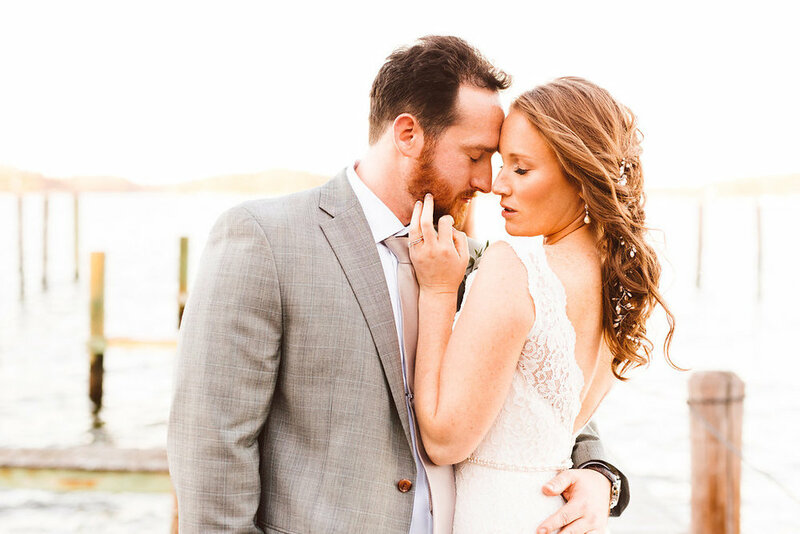 Continuing our #BeyondThe series, we sat down with Brooke Michelle, a Baltimore-based wedding photographer, who in addition to avocados, being a "be yourself encourager," and capturing awkward giggles, loves serving her clients! Read more of what she has to say to brides below! Tell us about yourself. I’m Brooke Michelle, but you can just call me Brooke! I am a lifestyle wedding photographer from Baltimore, MD, a be yourself encourager and random compliment giver. I have always believed I was a free spirit, which was just confirmed by my Meyers Briggs personality test recently! I am my mother’s “flower child” and have a true passion for empowering others and celebrating life's imperfections! I love bright, vibrant colors and sunny warm days! Summer is my favorite season and avocados are my favorite fruit! When did you get started in photography? I got started in photography (officially) my senior year of high school or at least that’s when I launched my business. I started to dabble in the art of photography during my sophomore year of high school. I made my family and friends be my test subjects as I learned to master directing clients and light! I took my passion full time in the fall of 2014 and my business officially became an LLC last year in 2016! When did you know you wanted to be a photographer? I knew I wanted to be a photographer officially my senior year of high school, but of course with young age came insecurity. I went back and forth on the idea of college, even going for a year before taking a year off. One day things just clicked and I decided to just go for it and make photography my career! If you could describe your photography style, what words come to mind? What’s your style? My photography style is very genuine and lively! I like to say I “direct” my clients instead of pose because I believe movement brings more emotion into an image! I want it to feel like my couple is just being themselves in public and that I am just there to capture it all! All the awkward giggles and clumsy walks! I want each client to walk away from their session and say they had a blast being totally goofy. I do not want them to have to question whether or not they thought they looked awkward in front of the camera! What’s your favorite place to shoot? Ahhhh this is such a tough one! I would have to say an open field of flowers would probably be my go to. Second choice would have to be ice blue water and a white sandy beach! I think any location works for me because my sole focus stays on the couple! Why do brides choose you over others? Oh how I wish my brides could be the ones to write this answer! I believe my brides choose me because of my unique editing and posing style! I love to think that they also feel a personal connection with me and love my heart! I try and treat every bride the exact same way and make sure to be available whenever they need me. I am kind of like a bonus bff for their wedding planning process! What’s your favorite part of working with brides and grooms? My absolute favorite part of working with brides and grooms is learning their love story. The more invested I become in my couples and the more they let me into their lives, the better I can tell their story! I want them to look back and feel every single emotion in their relationship, simply by looking back at their wedding photos. I want that feeling to last long after their wedding day and continue through all their anniversaries. I want each couple to know that their love story is unique and 100% them and no one can take that from them, so we should celebrate it! What’s the most interesting wedding moment you’ve witnessed? So this I am sure is not the most interesting answer you have ever heard, but I love to tell this one because I was IMPRESSED! I am actually not even sure if the bride knows this happened to this day… On a really beautiful wedding day last fall we had just finished their portraits and the ceremony. We were in the middle of cocktail hour, which for a photographer, is usually the perfect time to run into the reception area and snag detail shots. The room is perfectly decorated and completely empty. My second shooter and I then proceeded to shoot all the details, which obviously included the cake! Unbelievably, later that night the cake fell to the ground and was smashed into pieces. Without hesitation, the coordinator called the baker and had him bake a brand new cake at the venue! It was time to cut the cake and the planner and baker came out with an EXACT replica of the previous cake! I have photos of both cakes and you would never know the difference! Any wedding advice to the brides reading this? Always keep what’s most important at the forefront! As a wedding photographer, I find most of my brides become easily overwhelmed with the stress of trying to create a “pin-worthy wedding.” Which is totally understandable! I mean, planning and budgeting a wedding is no joke. It is extremely stressful! I encourage each bride to always remember WHY they are doing this! No matter what flowers, linens or cake you select, in the end you are going to be a bride, and eventually a wife! Always remember that this wedding is the kick off to the celebration that is your marriage. Nothing else is quite as important as that! What are the traits of a good photographer? I truly believe the traits of a good photographer have nothing to do with their abilities or experience, but more with why they entered the industry. I think as long as you are in this business to love your clients and provide them with an amazing wedding experience then the rest will fall into place! It is harder to teach photographers the heart behind this business then it is to teach them the technicalities! I think as long as your heart is focused on providing the best experience for your clients and celebrating their story, the motivation to learn will follow effortlessly! What questions should brides ask when interviewing photographers?/What should brides look for? I believe brides should look for compatibility when looking for their photographer. One of my brides this year always says “I fell in love faster with my wedding planner than I did with my fiance” and that is the kind of connection I look for with each one of my clients! I aspire to have brides say similar things about me. Brides will be AMAZED by the result when their photographer feels like a new friend! I encourage brides to ask photographers for their opinions of the things that are super important to them. If the photographer does not put those things first in their mind then they are not the right photographer for them! And that’s okay! That means they have time to find their perfect photographer who values the same moments they do and prioritizes similar things! 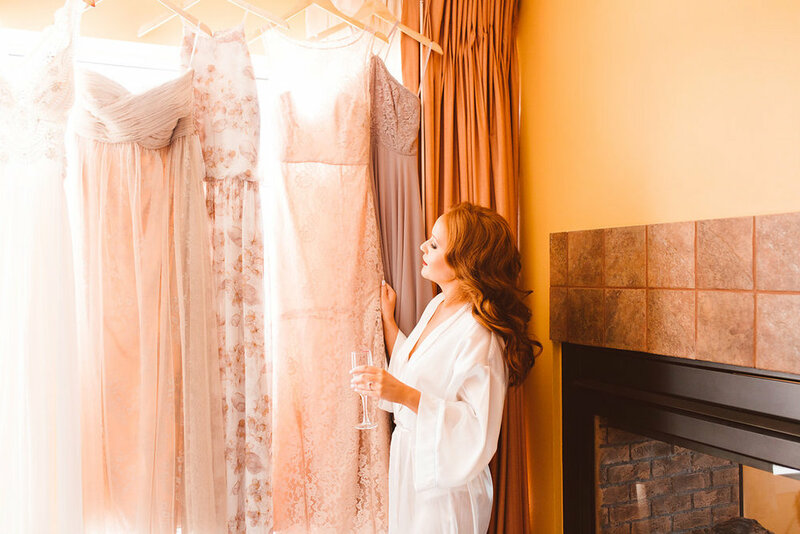 One of the things broomstick holds dear in everything we do is showing brides #beyondthedress, meaning we celebrate the fact that every bride is complex and beautiful beyond what their wedding day looks like. What do you think about that? What are some of the ways you’ve seen how weddings can be diverse in nature? I love that! I think there is something amazing waiting to happen when we celebrate the imperfections of life! Honestly, every single wedding day I have photographed has been diverse! I absolutely love when quirky clients include inside jokes or sentimental touches to their day! I think those are things you will never regret incorporating! It also really helps to tie in things from your everyday life to your wedding! With that being said, what are some of your favorite parts of yourself #beyondthelens? Beyond the lens I am a sister, daughter and girlfriend. I practice yoga regularly because it provides balance in my everyday life, especially on the mental side. I am a friend to many and an adventurer. I love random road trips and spontaneously booking flights! I believe beyond the lens I am a lot like most people just taking life one day at a time! Are there any other photographers you think would be a great fit for the broomstick blog? Kayla Coleman Photography! She is pretty much my idol and your blog would really love chatting with her and hearing her heart!